I was born near the end of a short Yukon summer. My parents took me camping in Alaska when I was two weeks old; and I think we can blame them for my love of adventure, my love of silence and walking, and my interest in making things. The competing clatter of my mother's sewing machine and my father's printing press on Saturday mornings undoubtedly influenced my interest in creating. My parents moved our family to Gallup, New Mexico, when I was in the 2nd grade, and they still live there. My sister and I grew up digging in the sand and climbing the red rocks surrounding our house. The Land of Enchantment has a special place in my heart and in my artwork (as well as in my sandy shoes). My grandparents were weavers. I remember standing next to my grandfather's 60-inch Macomber loom while he wove yards of doubleweave fabric to cover hundreds of square feet of greenhouse window. My grandmother went to college when she was 60 years old and majored in art. Her love of caricature, drawing, children's books, and fiber influenced me throughout my growing up. And I loved that she had gnomes in her garden way before they were cool. I am blessed to be able to weave on their looms today. 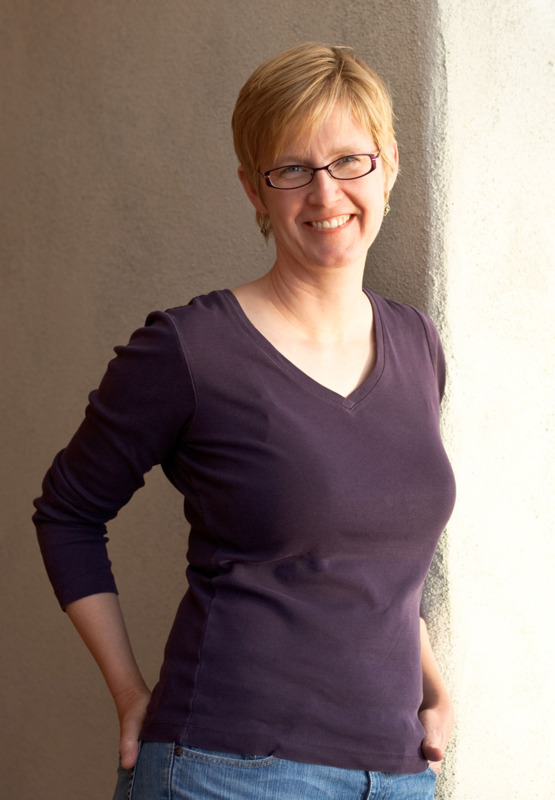 After I completed graduate school in occupational therapy in 1997, I moved to Reno, Nevada, and started weaving on an old barn loom. I was fascinated with doubleweave but eventually realized when I tried to make complicated pictures in the technique that what I really wanted to do was weave tapestry. 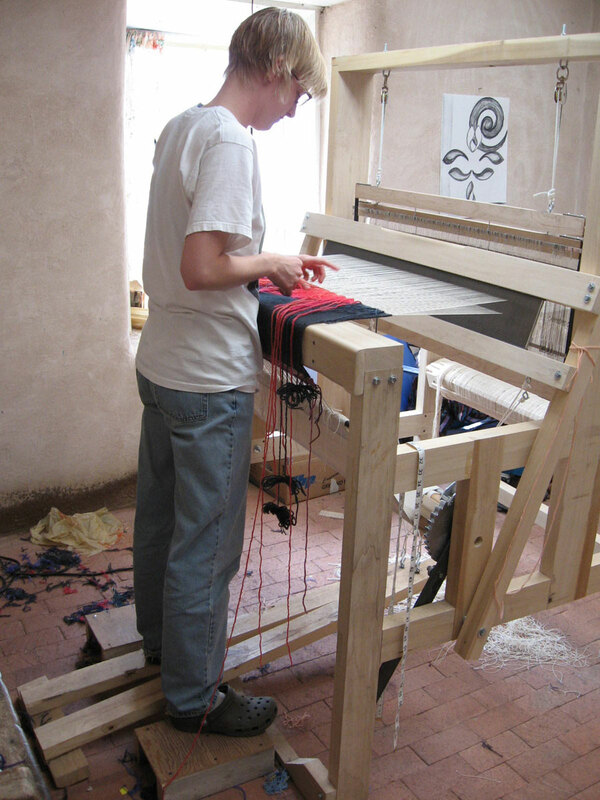 In 2004 I moved home to New Mexico and took traditional Hispanic weaving classes at Northern New Mexico College in the tiny village of El Rito. I wove on this standing loom in a 400 year old adobe house. Shortly thereafter I met James Koehler and started studying with him, eventually becoming his apprentice. Today I am a contemporary tapestry weaver with a studio in Fort Collins, Colorado. My work is drawn from the colors, open skies, and symbols of the southwestern United States. I hand-dye all my own yarn to get the color gradations I love, and I weave most of my tapestries on my grandfather's Harrisville rug loom. My work is in various public and private collections and you can see some of the tapestries in the gallery on this website. I teach classes in my studio, online, and at venues throughout the United States. ...and of course the learning continues. If you are interested in following along with me in my tapestry journey, consider signing up for my weekly newsletter or reading my blog.